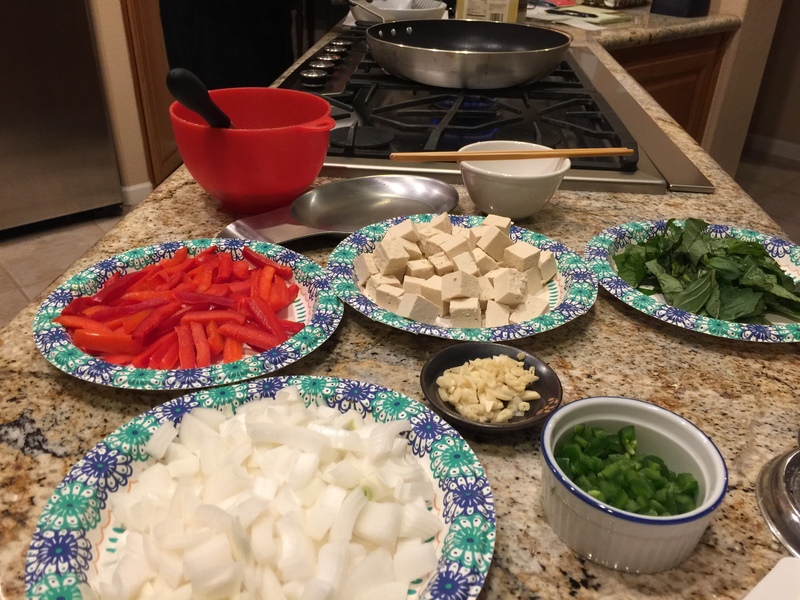 Sunday is often when we take a break from cooking and order Chinese food but we decided to make our own Asian cuisine tonight. We are trying to perfect this dish and we still have not got the sauce to taste quite the way they make it at our favorite Thai restaurant. First, there is a lot of chopping but afterwards the cooking goes quickly. Glad my tendinitis is better because there is a lot of chopping! Pressing the extra firm tofu to relieve it of some of its water is essential. Also getting Chinese or Japanese eggplant makes the dish much tastier than using globe eggplants. It is basically just a stir fry with a complex tasting Thai sauce. We served this with some rice and a small green salad with a sweet dressing. 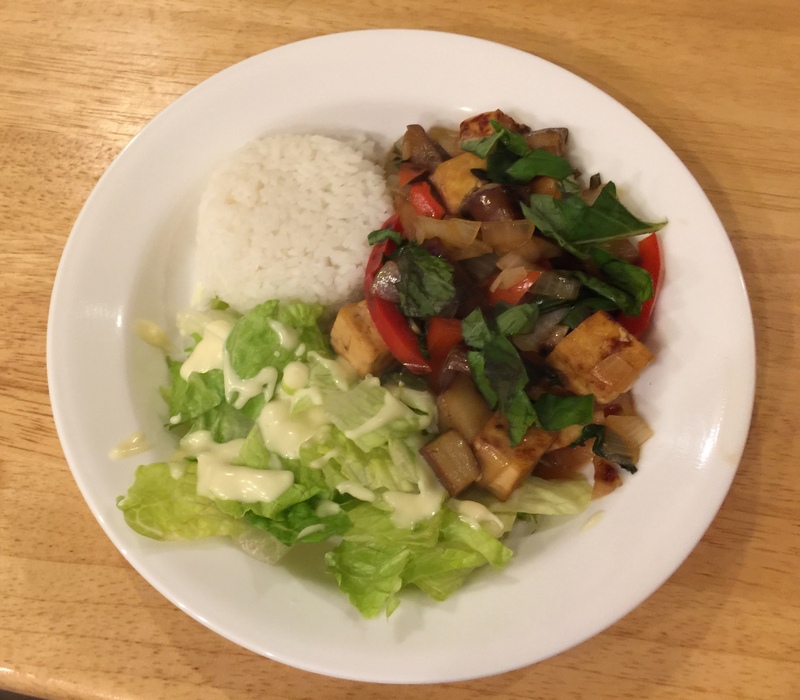 This entry was posted in rice, Vegan, Vegetables, Vegetarian and tagged basil, Eggplant, rice, Thai, tofu, Vegan. Vegetarian. Bookmark the permalink.